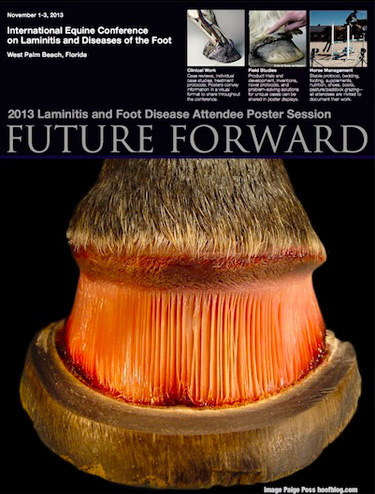 A poster session will be among the highlights of next month’s International Equine Conference on Laminitis and Diseases of the Foot in Florida, with attendees presenting their own research and case studies for discussion among professionals in the field. The conference is being held at the Marriott Conference Center in West Palm Beach, Florida, from November 1 to 3. Speakers at the conference include leading researchers in the field of hoof science and laminitis research. Known as “Future Forward”, the poster session allows conference attendees to present their own research and is also an incubator for future conference presenters. Indeed, five of the inaugural 2011 Future Forward presenters will be at the podium as either abstract presenters or faculty members in 2013.